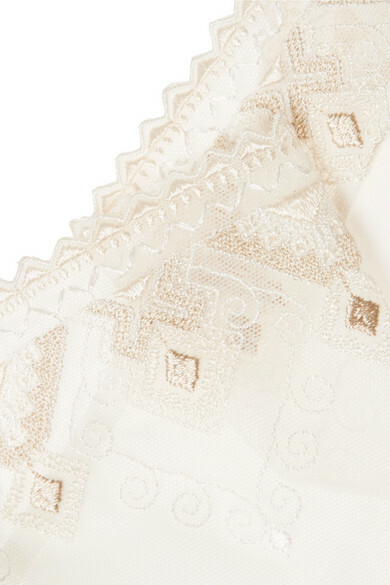 La Perla's stretchy briefs are cut from soft tulle detailed with geometric embroidery inspired by mosaics. Perfect for wearing underneath a close-fitting or light-colored pants, this pair turns to reveal a jersey back that lays flat against the skin so you don't have to worry about visible lines. Wear them with the matching bra. Wear it with: Kenneth Jay Lane Earrings, Monica Vinader Ring.